Lush, oh Lush why do you have to drop a new collection right when i’m trying to save as much money as I can?! 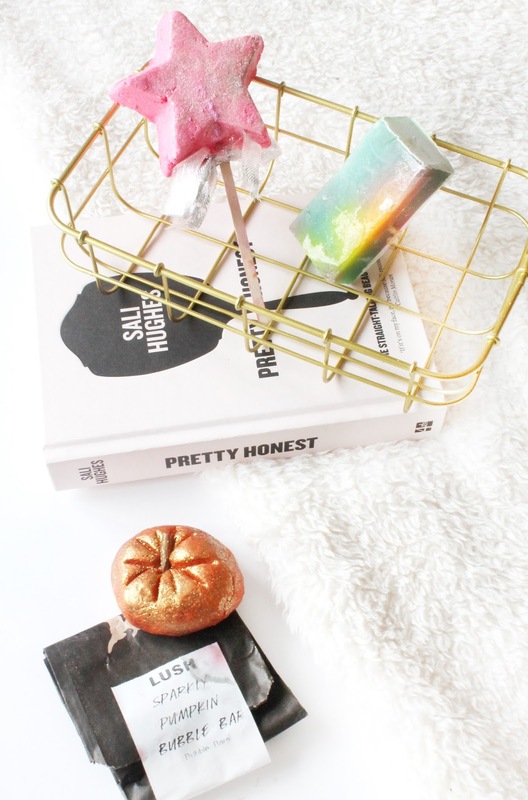 After reading Makeup Savvy’s recent post and ‘oohing’ over all the Lush bits, I too thought i’d pull together a Lush shopping list of all the Lush bits I want in my life, but currently am resisting purchasing! A few weeks back I saw a few of my fellow blogging gals at the Plymouth Lush store preview night and oh my god was I awe at the new products that were being demoed. It’s definitely safe to say that as soon as the Lush Halloween and Christmas collections launch online then that means autumn winter has arrived and it happening. One product i’ve wanted to try for an absolute age is the Sleepy Body Lotion (£7.95) purely because every blogger on the planet has raved about how much they love this body lotion. Now i’m typically not a body lotion kind of gal, but having given this a sniff when I was last in Lush I knew that i’d love this. With my skin getting somewhat dry during the winter months I already know that applying this to those dry areas will be an absolute saviour! Another body product that caught my eye whilst browsing their website is their Cup O’ Coffee Face & Body Mask (£7.25) even tho I am not a huge fan of coffee, I know this will work wonders on a hangover when my skin is in need of a big pick me up! Another product launch that got me excited and intrigued is their hair oil treatments and one that caught my eye is their Hair Doctor Hair Oil Treatment (£6.50) as it is said to revive the hair and the scalp to ensure shine and softness. As I always say, my hair is quite damaged so i’m always wanting to try out new products to help revive my hair condition, and not having ever tried any hair products from Lush i’m intrigued to see how these work. A cult favourite of mine and every Lush customer on the planet is the Snow Fairy scent and this year it seems that Lush have taken it one step further and have made this as eco friendly as possible by totally getting rid of the packaging.. interesting. The Snow Fairy Naked Body Conditioner (£8.25) essentially works by wetting the solid block and rubbing it all over your body. I’m so intrigued to see how these work, and i’m loving how Lush really take being as eco friendly as possible so seriously! 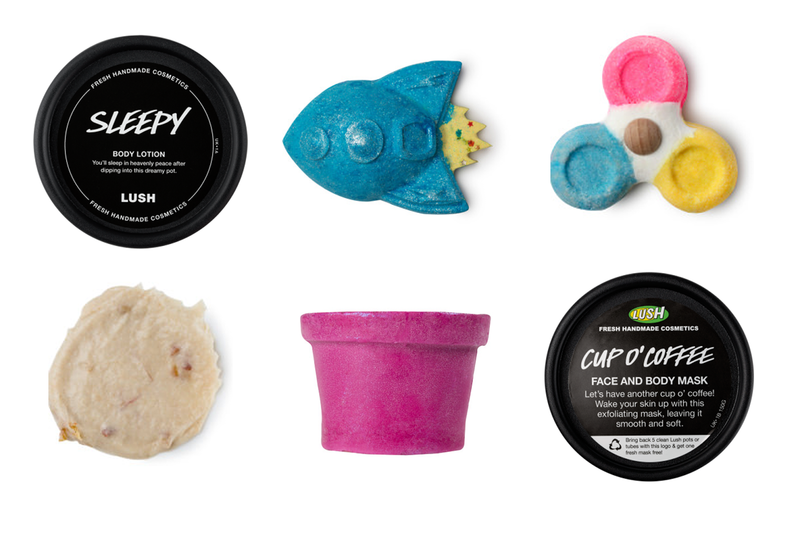 Lastly I couldn’t not include a couple of bath products that i’m really intrigued by, as Lush are always pushing the boundaries and making new, exciting products! The one product that instantly caught my eye is their Bubble Spinner (£4.95) which essentially is the Lush version of the fidget spinners that have been an absolute rage this summer just gone, and this just instantly excited me! Finally we have the Rocket Science Bath Bomb (£2.95), which just looks so cool and I’m always intrigued to see what new bath bombs they bring out! What Lush products are you excited to try out?